VI Mobilities. 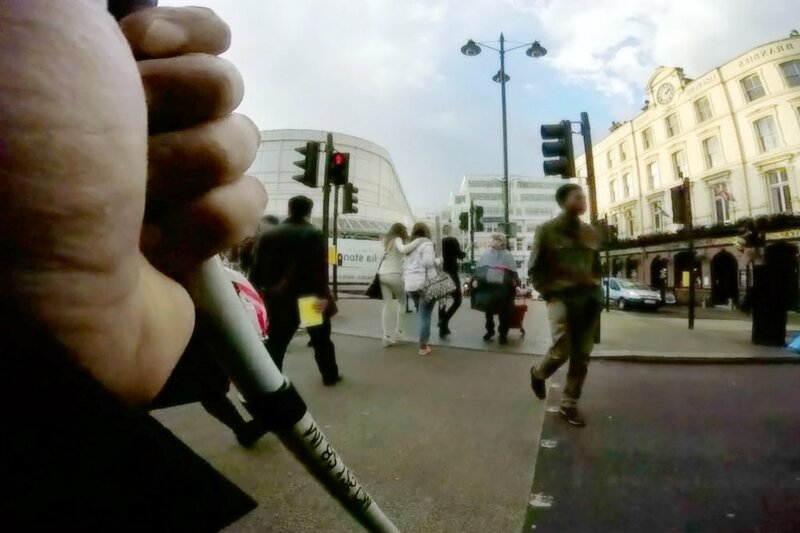 Archiving the Everyday Mobilities of Visually Impaired (VI) Young People Across London. This online resource has been co-produced by researchers and visually impaired (VI) participants to share the everyday experiences and strategies of young VI people as they navigate London’s busy transport systems. We invite anyone with an interest in transport and accessibility to watch/ listen or read and join the discussion. "We've all got unique situations... everyone can do things that are worth fighting for, if it's travelling or doing other things socially or whatever. This is how we manage to get to where we are now"
Our research examines the relationship between urban transport and the everyday lives of visually impaired (VI) young people in London. These films show moments and encounters captured by participants using GoPro cameras. The videos have been edited with, and narrated by, participants. Here is a list of organisations and projects which can provide advice, information, and support in relation to transport accessibility and visually impaired (VI) people.